Craftsman garage door opener units sold at Sears are actually manufactured by Chamberlain. The Craftsman brand offers chain and belt ½ and ¾ HP openers for residential use and the products come with two remote controls each. 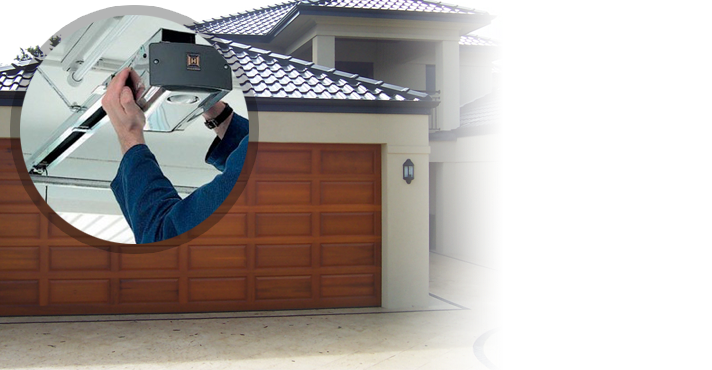 As a specialist in home openers, Garage Door Repair Toronto, ON, takes care of all Craftsman openers. 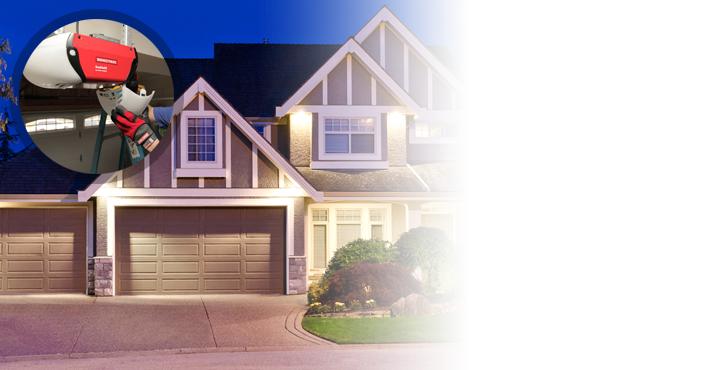 Whether you alreadyown a garage door opener and need maintenance or are interested in installing a new one, our team can be of great help. 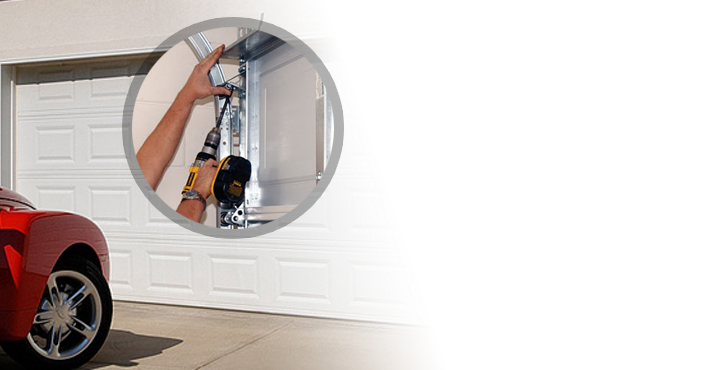 For heavy doors, the latest Craftsman garage door opener is the best solution. This is the Craftsman 54990 model, which features a ¾ HP AC chain drive motor that makes it twice more powerful than the ½ HP models. It is also much faster, integrates the necessary safety features and thanks to the motor vibration isolation system, it’s much quieter.The opener has anti-burglary rolling code technology and tri-frequency radio systems, a motion detector, two remotes and a wireless keypad. The safety sensors are designed for contact and non-contact door reversal. It can be controlled through internet, incorporates a timer-to-close, but doesn’t include a backup battery. 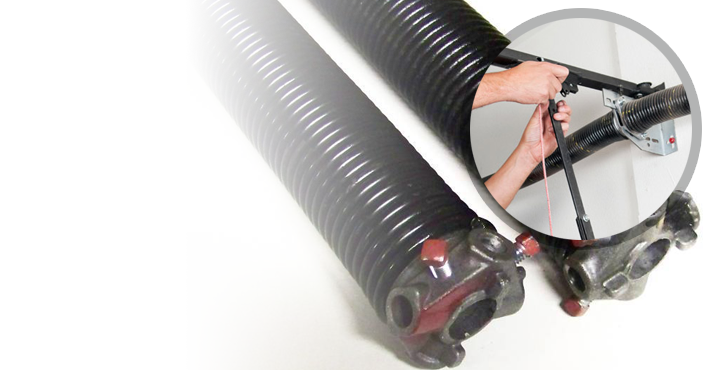 A simpler Craftsman garage door opener choice would be the 54915 ½ HP AC belt drive model. Its best quality is that it provides quiet operation thanks to the motor vibration isolation system, but it doesn’t connect with internet nor has a battery backup function. Other than that, it features all the safety and security systems included in the 54990 model and is an inexpensive choice for doors weighing up to 300 pounds. Whichever Craftsman opener you own, you can rely on our professional team for service. We do take care of unexpected problems and especially with issues related to your safety and the security of your home. Any problem with the chain or belt, sensors, wiring or motor is fixed as fast as possible. 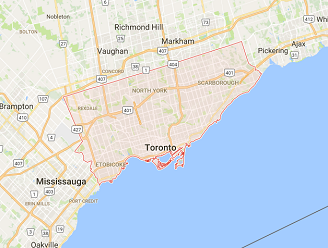 We fix all types of Craftsman residential openers found on the market of Ontario and provide quick assistance to our customers in Toronto. Our services extend to opener maintenance, replacement and installation. We replace and install Craftsman openers, change the damaged parts, troubleshoot problems and check the system. 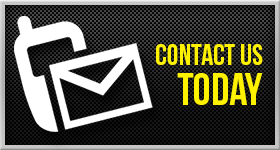 Call us if you need Craftsman garage door opener repair now!